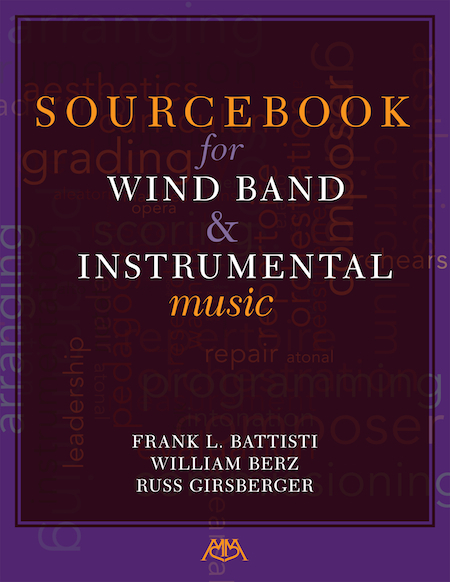 This sourcebook was created to aid directors and teachers in finding the information they need and expand their general knowledge. The resources were selected from hundreds of published and on-line sources found in journals, magazines, music company catalogs and publications, numerous websites, doctoral dissertations, graduate theses, encyclopedias, various databases, and a great many books. Information was also solicited from outstanding college/university/school wind band directors and instrumental teachers.